Houses and vehicles have been severely damaged after acloudburst in Kundi village of Chamoli district, Uttarakhand in the early hours of Monday. The cloudburst has damaged the houses of three villagers, 10 shops, seven vehicles, and three bikes. The civil administration has reached the site. Cattle belonging to more than 30 villagers have been reported to be buried under the debris. District Magistrate Ashish Joshi called for an emergency meeting with district-level Incident Response System (IRS) officers at 4 AM in the morning to review the situation. IRS teams in Tharali have been directed to carry out rescue operations with immediate effect. The cloudburst happened around 3 AM in the morning. 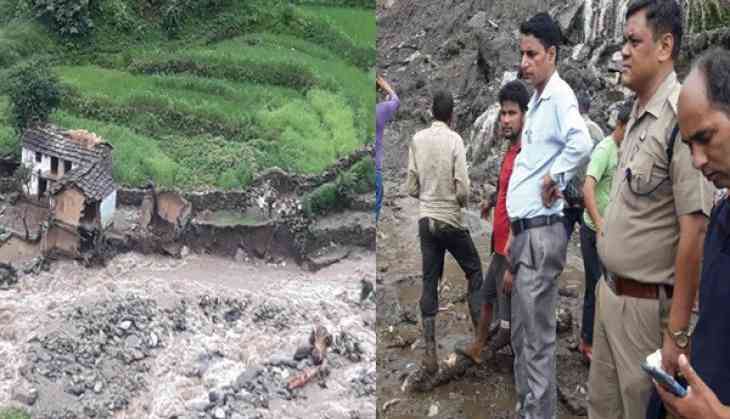 On July 11, seven people died in the state capital, Dehradun due to heavy rains.